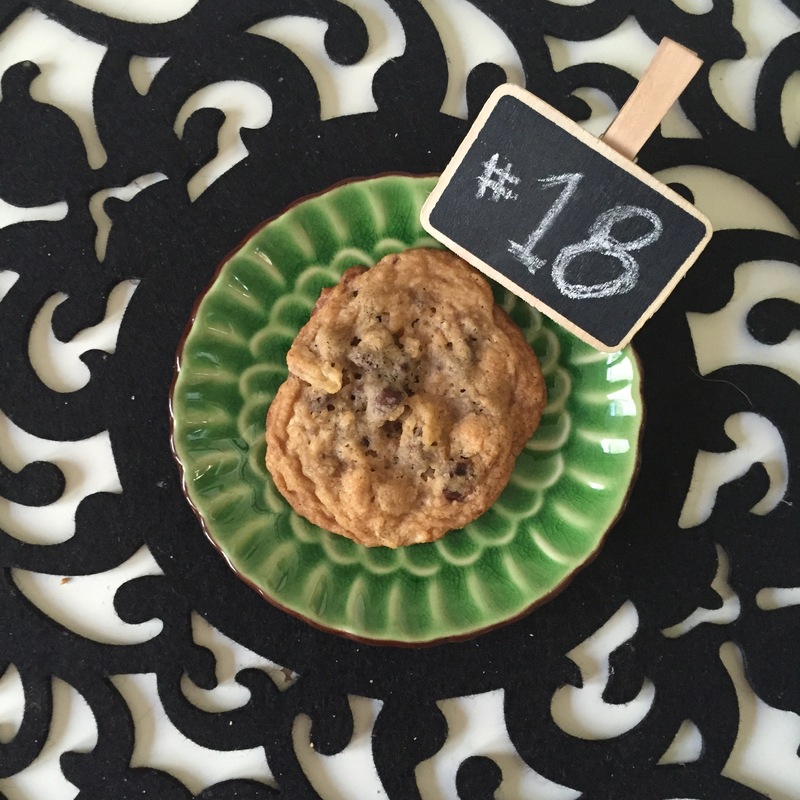 With my Bunky coming to town, I wanted to make a special cookie, just for her. I had two pins on Pinterest and let her choose. She chose this, a chocolate chip cookie with Ruffles potato chips. These were fun to make – crushing the chips and then eating the rest of the bag – and baked well. All who tried enjoyed, but most said they couldn’t tell there were chips inside. 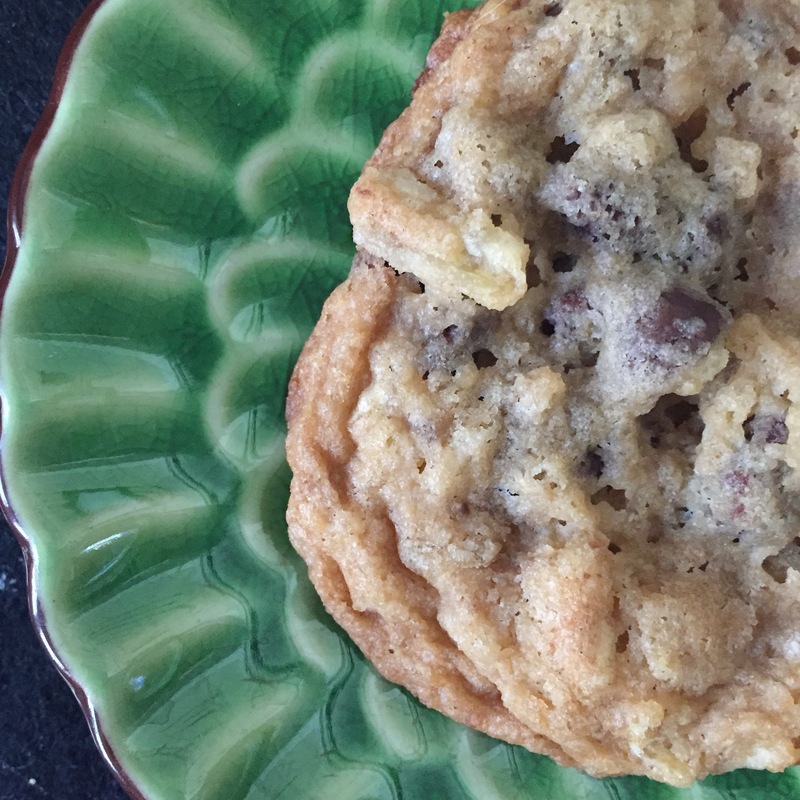 I prefer a doughier cookie, these bake soft and flat – and have a nice salt flavor. I bet that’s the chips. If you’d like to try your hand at these, the recipe I used is here. Let me know what you think! Can you see the potato chips?